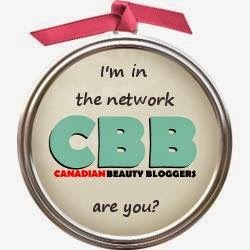 Beauty Box Chic: Memebox Hand and Body Edition: Review + PROMOCodes!!! Memebox Hand and Body Edition: Review + PROMOCodes!!! Today, I want to share with you all my first Memebox unboxing/review. I have purchased the Hand and Body Edition, I can't wait to share my thoughts with you all! Memebox is a non-subscription beautybox that delivers 4-8 full sized Korean products/deluxe samples right to your door, they ship directly from Korea! Each month they release varieties of beautyboxes that tailor to your specific needs and concerns. They sell 3 type of beautyboxes including: Memebox, Luckybox and Superbox! What is the cost for the Memebox (Hair and Body Edition)? Please visit their website http://us.memebox.com/ for more what other service can Memebox offer to their beauty customers! $5 dollars off for 3+ Memboxes purchase - June only! Create an account with Memebox an automatically earn $10 dollars credit toward next purchase! ♥ After unboxing my first Memebox (Hand and Body Edition) below is what I received!!!! 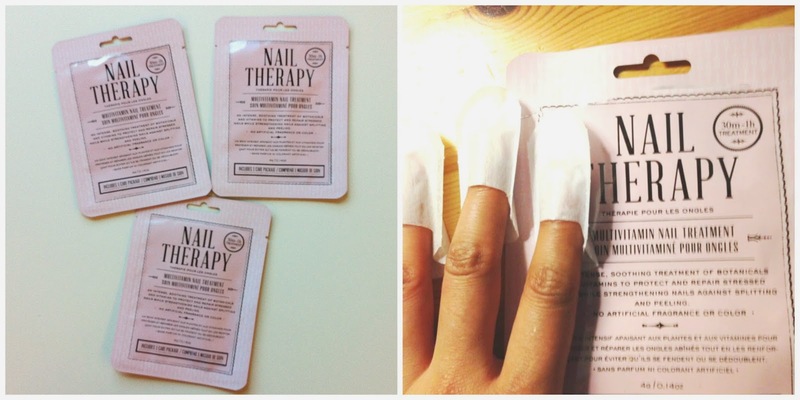 This is the first product I try from my Memebox, I never use a nail mask before, it was great to try something new! This is a multi-vitamin nail treatment that help protect, repair and strengthen our nails, it is made with "vitamins C/E, milk protein, aleo vera, shea butter, collagen (to protect nail roots), ceramide (to provide shine and elasticity to your nails)" ! 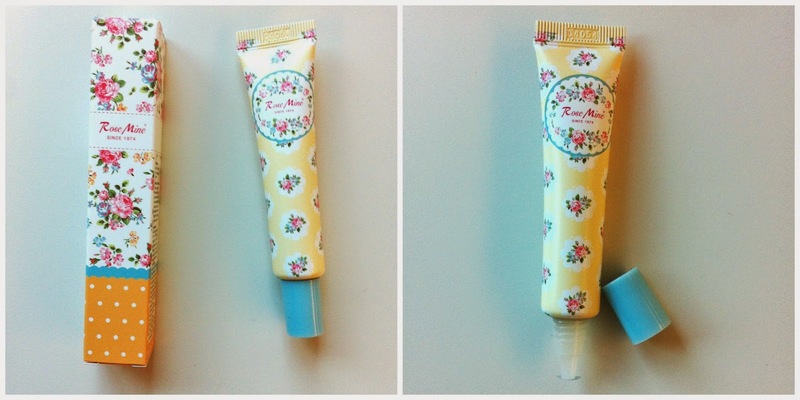 This is a gel perfume, I love the tube design, the packaging is so cute!!! This is perfect to carry on-the-go! It is made with "blossoms, fresh green tea and gleaming bijou", I can't wait to try it out after I finish my current perfume stick from Faceshop! This exfoliator gloves fit me perfectly!!! 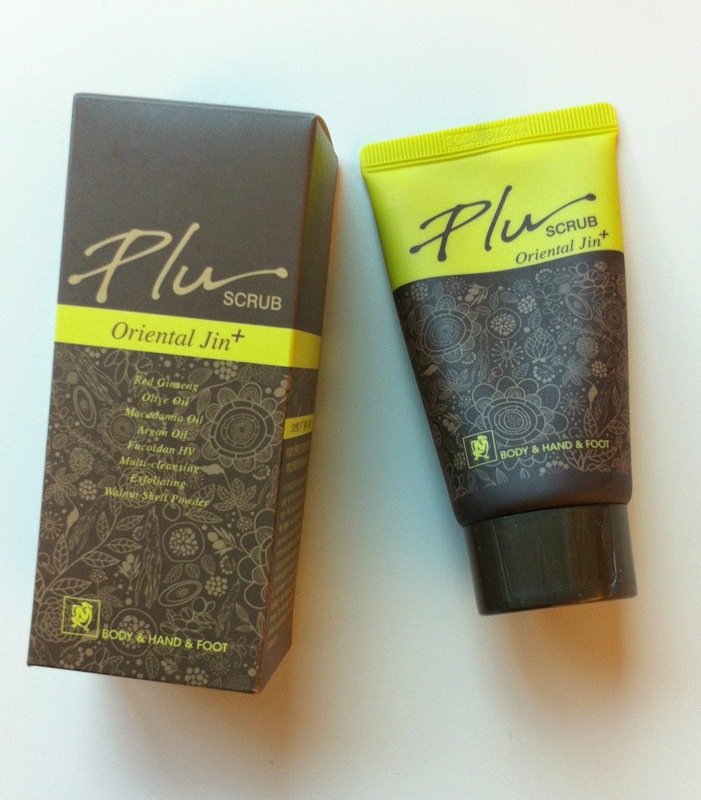 It is used to help "exfoliate the dead skin in our body", it can be worn in the shower to apply your favorite body scrubs to help exfoliated your skin! 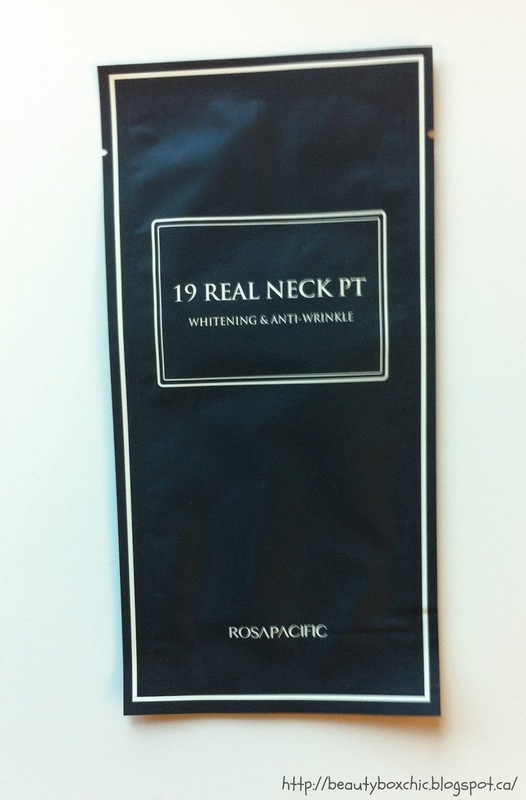 Rosapacific 19 Real Neck Sheet (Full Size, 12g, $3.5 dollars)Cant wait to try this Neck Mask!! It is a mask specially design for our neck area, it is made with "bio-cellulose, a natural and innovative gel developed from the latest biotechnology". It is also sourced from fermented "coconut juice", to help hydrate the neck area! This hair treatment smell wonderful, is a lovely floral scent that helps replenishes moisture while repairing damaged hair, it is made with "four natural oils and twenty vegetable extracts"! 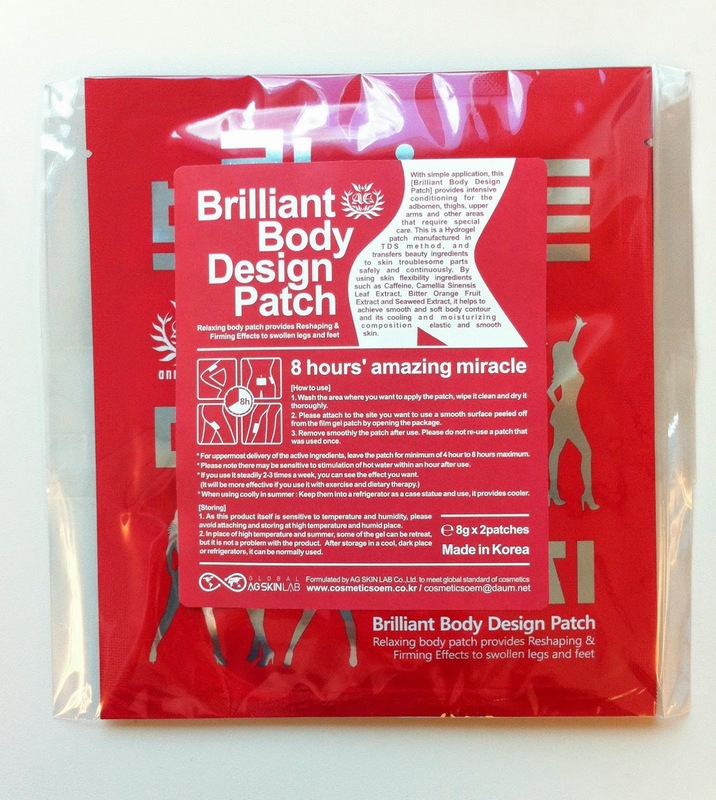 "This is a hydro-gel body patch that reshapes and firms swollen legs and feet! I can used this hydro-gel patch After a long day of walking or hiking! SD Hair Steam Hair Pack (30g, $21 dollars)This is a DIY steam hair pack that made with "concentrated argan oil and royal jelly ", this is to help nourish and moisturize your hair, can't wait to give this a try later next week! 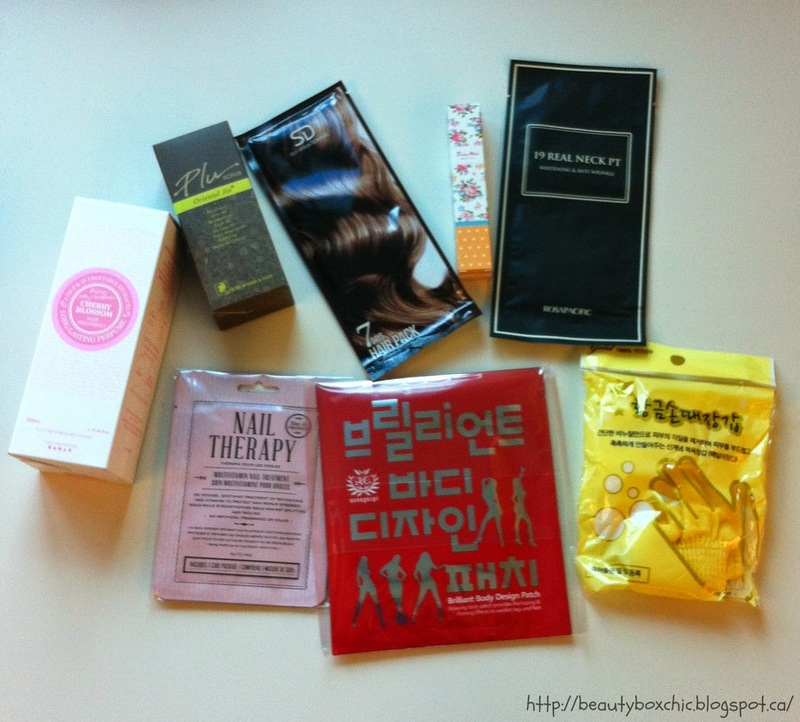 This is my first Memebox, I am very excited to try beauty products from Korea, I really like the hand and body beautybox, it come with so many different products ranging from hair care to body care! Not only this, the idea of the nail/neck mask is wonderful, I cant wait to try the other beauty products from this Memebox, it is always nice to try something new espeically that is made from Korea!! Overall, I am happy for this purchase, for an amazing value of only $23 dollars (I got FREE shipping with a promotional code they offer earlier last month) to their beauty customer, this Memebox is a great deal for an amazing value!!! What do you think about the Hair and Body Memebox? Would you give it a try? Hi Janet :) This products are so cute and adorable. 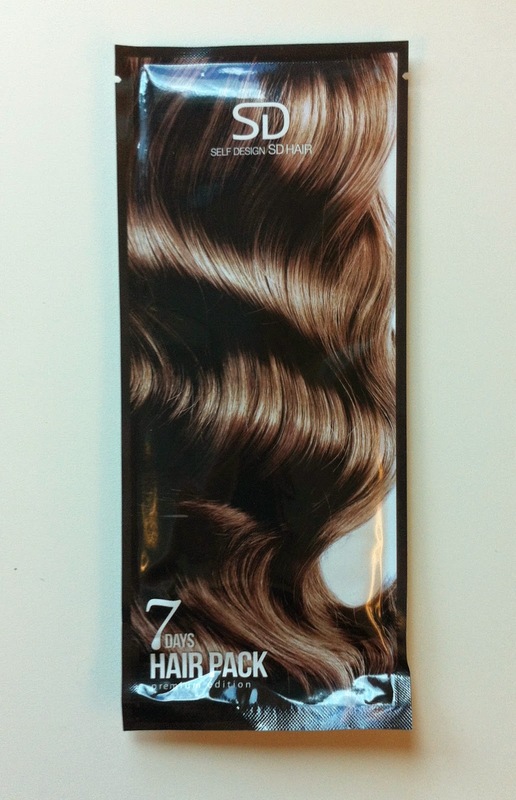 I love the packaging of the Kiss the Perfume Brilliant Hair Treatment, it is so girly. hehe. Have a great day! Hi Nica :) Memebox is a wonderful subscription box, the hair treatment smell so wonderful :) You too have a wonderful day!! That wonderful, they do ship to your country :) I really like this box too!! They ship to so many countries :) Awww I am sorry about the tax part, hope they can change the customs rules in your country so you dont have to pay additional taxes. 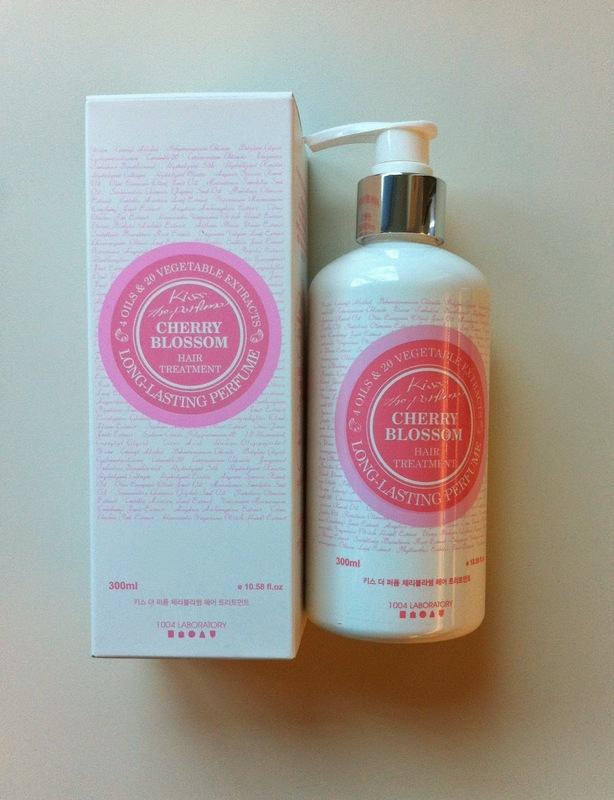 I love Korean products - they are one ofmy favourite type cosmetics/skincare. Yes, this is great Memeob - so many to choose from. I like faceshop also.. went on boxing day & went crazy in the store buying everything. Waited about 30 to pay but was worth it. Been there since & got acouple of things that I used up from the 1st time.